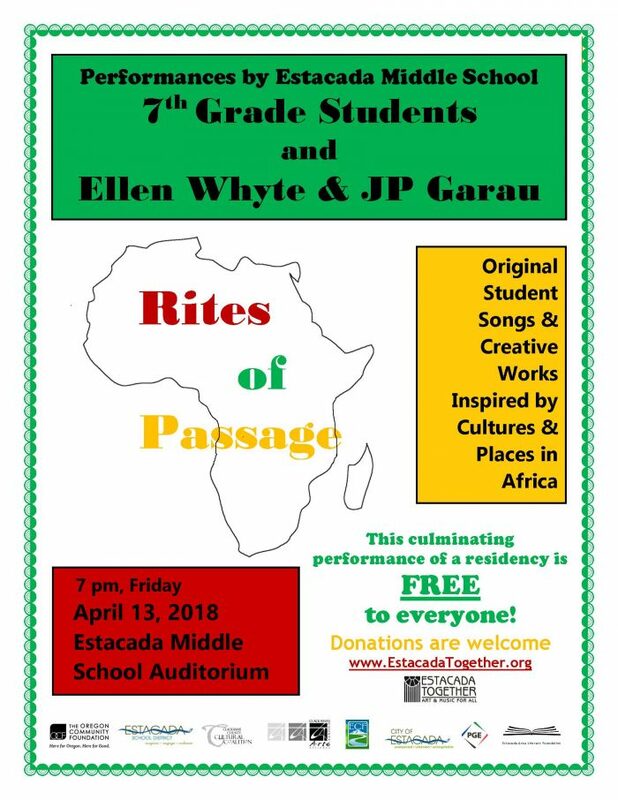 As we continue to highlight the various arts and culture recipients of Clackamas County Cultural Coalition Project Grants, we are excited to feature Estacada Together’s Ellen Whyte residency focusing on: Integrating Songwriting and Performance with Core Subjects. 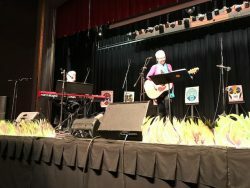 Estacada Together received a $2,500 Project Grant to help fund an eight-week residency with Estacada Middle School (EMS) 7th graders and Ellen Whyte, a three-time Grammy-nominated blues musician, singer and songwriter. 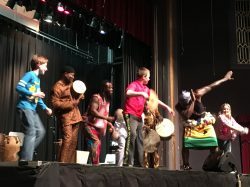 This was Ellen’s fifth year at EMS, and this year’s rich, arts-integrated program combined a cross-curricular (social studies, math, language arts, art and music classes) study of African and West African culture, storytelling and poetry, songwriting and performance. 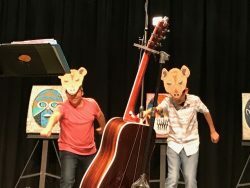 Estacada Together collaborated with the school and artist to coordinate a series of activities from January through April of 2018. An included highlight was a kick-off whole-school assembly with Obo Addy Legacy Project. An estimated 1,900 people were impacted by this project. I read this article and found it very interesting, thought it might be something for you. 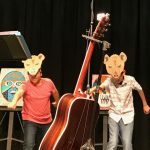 The article is called Cultural Coalition Grant Recipient Feature: Estacada Together and is located at https://clackamasartsalliance.org/news/cultural-coalition-grant-recipient-feature-estacada-together/.